Bethesda Thrift Store re-opening April 2nd! Oh, happy day! Bethesda Thrift Store in Green Bay is re-opening! Mark your calendars for April 2nd. The popular thrift store, located on Military Avenue just north of Dousman Street, closed it’s doors at the end of 2010, leaving a serious thrifting void in my life! My mother, otherwise known as Grandma Bargain Sleuth, worked next door at the now defunct Dolly Madison for 30 years. She was always bringing home treasures like a Pampered Chef apple/peeler/corer/slicer in the box for $3.00, a lead crystal candy dish that I use to this day, and even a vintage high chair for the grandkids to use when they visited my mom. The reason we loved Bethesda so much more than the other thrift shops was because their prices were the best of all the area thrift stores. And that will continue when the store re-opens. All adult T-shirts, blouses and sweaters will be $1.99 , infant and toddler tops and bottoms, and boys and girls shirts, tees and sweaters will be $.99 each. Not only will Bethesda have more extensive hours, they’ll have a Senior Day, too. On Wednesdays,shoppers 55 years and older will receive 25% off everything except purchased goods, products made by people supported by Bethesda and collectibles. Something tells me I’ll be shopping with Grandma Bargain Sleuth on Wednesdays. The Green Bay store is already taking tax-deductible donations so if you’ve got some spring cleaning done, they’ll gladly take your castoff stuff! Of course, Appleton and Neenah readers already have beautiful and big Bethesda shops in their communities; I loved the Neenah store when I last visited; $.29 kids books? Who needs to run around to rummage sales when you have a Bethesda in your town? Run by Bethesda Lutheran Communities, proceeds from the shop help to offers services for people with intellectual and developmental disabilities and their families, including residential settings, supported-living programs, employment assistance, camps and outreach services. Important to note that this Groupon is available through the weekend so you have two days to decide if you want it. Although if it involves pizza, what’s to think about?! As with any daily deal site, please read all rules and restrictions before you buy. Don’t want a $20 gift card or don’t think you’d use it all? (Not in my house!) You can also buy a Papa Johns $10 card for only $5 at RTownShopper. Green Bay Consumer is two months old, we’ve surpassed 400 Facebook fans, it’s the 4th of July holiday next week. Perfect reason to celebrate with some giveaways, don’t ya think? This is the last day of our week-long giveaway celebration. Today’s prize is a $20 Gift Certificate to Papa Johns. There are eight area locations where you can use this certificate: Green Bay (east and west), De Pere, Darboy, Appleton, Oshkosh, Neenah and Sheboygan. To be in the running for the Papa John’s gift certificate, all you have to do is fill out the entry form below to enter the contest and sign up for our daily email. Once you fill out the entry form, you are eligible to win each day’s prize (you don’t need to fill it out every day). The deadline to enter today’s drawing is 11:59 p.m. tonight. Tomorrow morning I will announce the winners of today’s giveaways. Congratulations to the winners of yesterday’s Dash 4 Dinner gift certificate: Joan V! The winner will be notified via email or by Facebook message. If you didn’t win during this week’s giveaways, you’ll have more chances to win. Green Bay Consumer will be doing more giveaways at the end of the summer! Pizza! The perfect food–for me anyway. And believe it or not, I have NEVER had this brand. 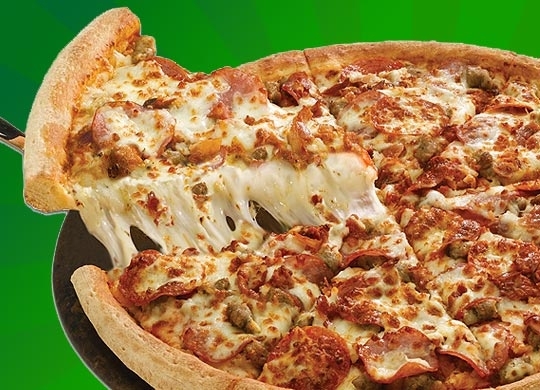 Groupon Green Bay or Appleton is a $20 voucher for Papa Johns for only $10. It’s good at eight different locations in the area including: Green Bay, De Pere, Appleton, Neenah, Sheboygan, and Oshkosh. Important to note that this Groupon is available through tomorrow so you have two days to decide if you want it. Although if it involves pizza, what’s to think about?! Don’t want a $20 gift card? You can also buy a Papa Johns $10 card for only $5 at RTownShopper.